The community isn’t happy about Firestorm so far. 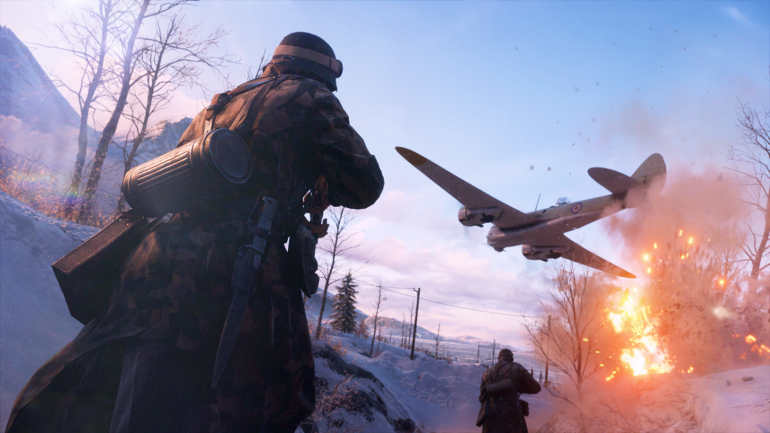 After four months, players have finally gotten a chance to play Battlefield 5‘s long-awaited battle royale mode, Firestorm. Unfortunately, it looks like the game mode is already starting to fizzle out barely a week into its release. Although the mode is visually stunning, the main complaint that most players have about it relates to a core mechanic: its looting and inventory system. A clean, easy inventory and looting system is key for a successful battle royale title. The system in Battlefield 5is almost the complete opposite. The player inventory is very confusing at first glance. Additionally, when players die, they do not drop a deathbox like in other popular BR titles. Instead, they drop all their items around themselves, as in Fortnite. Due to the vast amount of variety in items in Battlefield, however, this leads to a giant pile of items that players need to sift through in order to pick up whatever they need. Many popular Twitch streamers aren’t enjoying the system. Guy “DrDisrespect” Beahm went on a long rant about the issue after dying on stream after picking up the wrong weapon from an opposing player. Michael “shroud” Grzesiak had some harsh words for Firestorm on stream as well. “It seems like they did zero research on how to make a battle royale game,” he said. “Their looting is wrong, their inventory system is wrong.” He also complained about the spectator mode in the game, which is only available in third-person. Ultimately, DICE has already acknowledged the problem and says that it is working on both the looting and inventory system. DICE will have to hope that this version will be good enough for its player base the second time around.